Tessa Thompson will play the Asgardian warrior Valkyrie in Thor: Ragnarok, but there is a word you should not use when describing her. In fact, you shouldn't use it to describe any female character, especially if you happen to be a male writer writing a female character. Thompson has noticed how prevalent one term in particular has come, and she's had enough. There's nothing inherently wrong it seems with actually being a badass, but when that is substituted for a nuanced character, it just becomes lazy. Wonder Woman director Patty Jenkins came to the same conclusion with her DC portrayal, not limiting the character to just being a "badass". "I based her on the original comics and Lynda Carter's [TV interpretation]. I followed the rules that I believe in: Wonder Woman doesn't hurt people for fun," Jenkins told Glamour about her vision. "She doesn't use violence unless she has to, and when she has to, she's incredibly adept. Everybody assumes she has to be a badass. Of course, she has to be a badass. It was my duty to say being badass doesn't mean she's not loving, funny, warm, all those things." Male characters have access to a complete spectrum of traits and personalities, and female characters should have as many options to choose from. 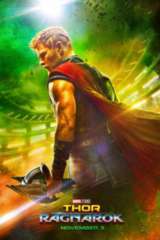 Thor: Ragnarok is in theaters on November 3, 2017.